Delivery has started! There is even some re-sale homes for sale. 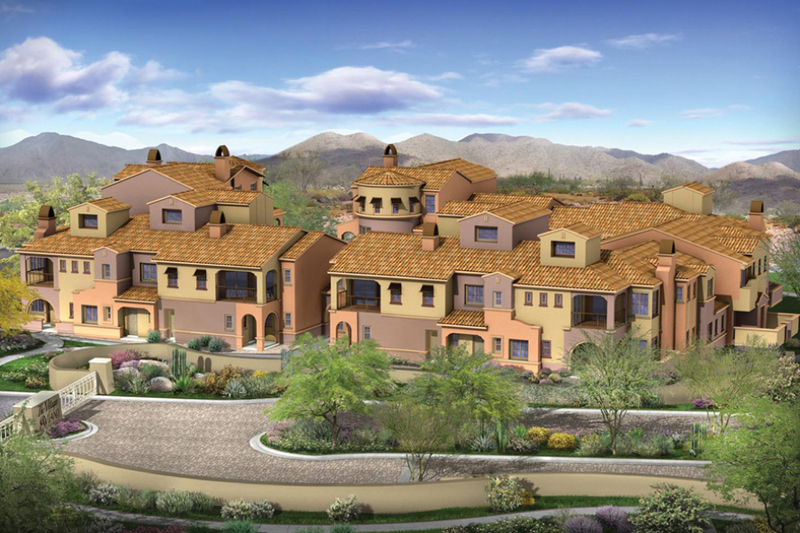 The Villages at Aviano are in the heart of the Desert Ridge Community. This gated condominium neighborhood includes open floor plans with a direct access two-car garage ranging from 1,334 up to 2,158 square feet of living space. They come with 2-3 bedrooms, 2-3 bathrooms and are single story, two story, and even tri-level clustered townhomes. Amenities: The Villages at Aviano is a gated community with a heated, private pool located within the master planned community of Aviano at Desert Ridge. The Aviano community center is amazing – includes 2 pools, fitness center, a clubhouse, activities, movies in the park, outdoor living area, tennis courts, walking trails and a 7-acre park. Many of my buyers have selected Villages at Aviano because of the community center!